My memories tell me of the forests. Her breadth of engagement in matters related to animals is astounding—from creating awareness among the local people through on-the-ground educational and fund-raising activities. For over three decades, she has fought acts of animal cruelty at every stage, like the time when I witnessed her stopping in the middle of a busy Bangalore road (causing a huge traffic jam) to bring the driver of an overloaded bullock cart to officials for his abuse of the poor bull pulling the wagon to ceaseless travel to gather information about elephants throughout India, to editing book, to meetings with government officials—the list is endless. Suparna Ganguly receives award from the President of India. In recognition of her ground-breaking work, Suparna was chosen by the government of India as the recipient of the prestigious Nari Shakti Puraskar award for her “outstanding contribution to women’s empowerment.” The award was presented by the President of India in a ceremony at Rashtrapati Bhavan on March 8, 2016, on the occasion of the International Women’s Day 2016. Here she speaks about elephants in India and their struggle to survive. Suparna, to get started, tell us a little about your own background and how you became involved in elephant rescue, sanctuary, and rights. I have always loved animals and though I did Masters in Liberal Arts (comparative literature, to be precise), I was waiting to get engaged with animal protection, rights and advocacy, which were, at that time in the 1980s in their nascent stage in India. 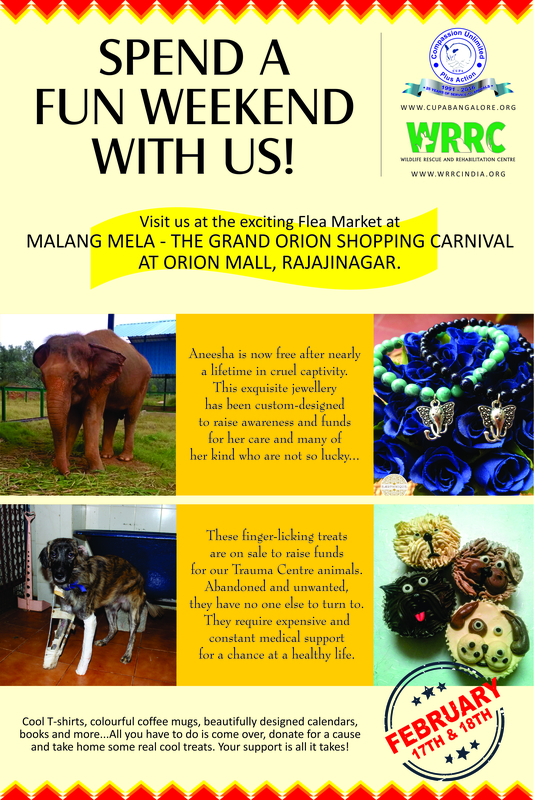 This opportunity was provided by Crystal Rogers who is well-known in the animal welfare field. When Crystal was in her early 80s, she relocated from Jaipur in Rajasthan to Bangalore in Karnataka. Together, in 1991, Crystal Rogers, Dr. Sheila Rao, myself and a few others co-founded the animal welfare charity, Compassion Unlimited Plus Action (CUPA). Soon the organization expanded in its work and scope by leaps and bounds. Subsequently, in 1999, I co-founded a second charity, the Wildlife Rescue and Rehabilitation Center (WRRC) to provide a haven for wildlife from rescued urban areas and rehabilitation services that support their release back into the wild. In 2000, we started coming across many cases of physical and psychological abuse of Elephants in captivity by private owners and institutions. We embarked on litigation in many instances, but were hampered by the lack of knowledge and documentation in this field. There was a crying absence of any significant work on captive-held elephant care, “management” and their overall status in the country. That’s when we decided to take the lead in Indian research in this field. We reached out for collaboration with diverse scientific research groups, and designed numerous workshops to train NGOs and individuals within India on the science and psychology of elephants. We also initiated a study to collect data on elephants in captivity and their conditions from elephant owners and establishments. This required extensive travel throughout fourteen states where elephants were kept captive. Our study included detailed photo documentation and collated information to best understand the dynamics of elephant captivity including both legal and illegal trade. As a result, we produced fifty reports on the welfare status in different management regimes where elephants are held captive and used for various commercial and so called “religious” and “cultural”reasons…. 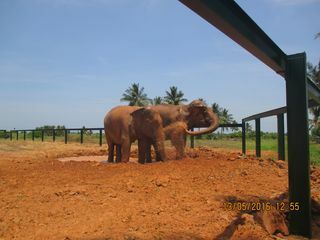 We also looked at care facilities for elephants that, we discovered, were given no support from the state Forest departments or the community at large. Subsequently, we began to deliberate and interact with government officials to initiate reforms and additional rescue centers in the country for these magnificent animals. Then, in 2014, we approached the Supreme Court of India, to seek legal recourse that would relieve elephants in captivity from the cruelties and abuse to which they are subject to, in modern India. Prompted by this knowledge, we published a book, Gods in Chains, to educate people about the appalling state of elephants in India, a place where they have been worshiped as the deity Ganesha. We are hoping to revive the publication with updated information, since, unfortunately, the book sold out all the copies and was not reprinted. It captured all the fundamental complexities of captivity of elephants in India. You have traveled to and worked with elephant advocates, professionals, and rescue-sanctuaries around the world. Are the issues about elephants the same? For example, how do elephant issues compare in the U.S. versus India, as a country of origin for elephants? First, let me describe what all countries have in common. Elephant captivity issues are similar all over the world in one aspect: every owner/custodian/agency/business and elephant-owning company—in other words, all organizations, private and public, other than sanctioned sanctuaries (e.g., zoos, circuses, research facilities, religious institutions, tourist trade)—wants to extract the last ounce of commercial value by subjugation and exploitation of the animals. Very few can hope to support the elephant on her/his own terms by providing adequate space, varied and nutritious diet, a herd structure comparable to that in the wild, and mental stimulation. Sanctuaries make huge strides in providing elephants with nurturing and revitalizing physical and social conditions, but nothing can erase the pain and loss that capture and captivity have caused them. “Elephants in captivity” is a misnomer, especially in the light of scientific knowledge that has emerged in recent years that reveals that elephant need for space, companionship and family are fundamental to their society and existence. Elephants in captivity is synonymous with subjugation. The practice of “breaking an elephant” is veiled in the utmost secrecy, because watching thus brutal process will break your mind and soul! It is violent and devastating to a normal human psyche. Breaking, which is practiced throughout Asia, the United States, and other countries, involves hours, days, and months of torture to subjugate by instilling a fear psychosis permanently in the mind of the animal. For this reason, many captive-held elephants do not have normal reproductive cycles since the intense stress breaks down their ability to reproduce naturally. 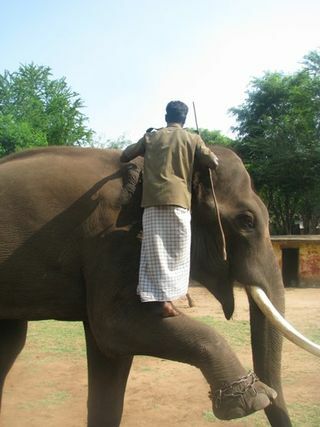 In India, capture and training practices, where the elephants are kept and the uses that they are put to depend on and vary with region and landscape. 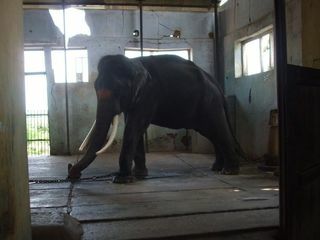 In the West, elephants are mostly kept in zoos and circuses. They are a magnet for attracting visitors for entertainment. In India, it is similar, but the issues tend to become complex due to a lethal cocktail of religion, politics and culture. It is difficult to view the elephant as a straight case of plain abuse and torture since arguments justifying elephant captivity call upon a long list of historical reasons, livelihood issues, religious significance, and cultural necessity. Hence the brutalizing of elephants becomes acceptable when they can be dressed up as gods, bring glamour to a function, entertain tourists by giving photo ops and rides, and be kept chained in temples to carry the idol once a day. Elephants in India is a shocking paradox of mind boggling contrasts—where else can one have a population of 25-30,000 wild elephants jostling for space in a country with 1.2 plus billion human population? In spite of not infrequent killing of humans and destruction of crops by wild elephants, the people are still surprisingly tolerant! Often they worship a dead elephant killed by the railways or by electrocution before the carcass is interred by the Forest Department. 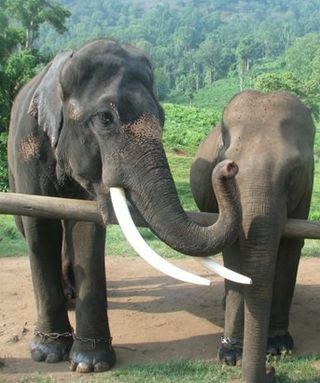 Obviously, there is something fundamentally ingrained in their psyche that an elephant is to be loved and worshiped in spite of the damages they may do to their very limited livelihoods…..it is the rich coffee and tea estate landowners who seem to be more intolerant of the depredations caused by the wild elephants that damage their estates. The common people, who are used to worshiping the elephant in temples, are more tolerant towards their wild counterparts. So we see again, as in the U.S. and Europe and elsewhere, greed and money are again a primary and common motive that brings misery to elephants and other wildlife. Can you say a little more about the differences between the mindsets and cultures of the U.S and India? Obviously there are also tremendous differences in how people think and their beliefs within each country, but how would you characterize the general differences in terms of attitudes towards elephants? Is there a more open attitude toward elephant and other animal sentience? After all, India was among the very first nations to ban elephants in zoos. Yes. Between-country differences are vast and distinct. In addition to India’s 25-30,000 wild elephants, we have about 4000-4500 elephants in captivity in the Government Elephant camps, zoos, circuses, temples, and private hands who use elephants for begging, timber felling, and tourism. India has also had a 5000 year history of elephant keeping wherein the animals were regarded as the “super resources” and wealth for all the kings, emperors, and rulers who have defined India’s history. A king’s might was measured by the number of elephants his army possessed, much like the modern arms race is measured by size of the nuclear arsenal a country holds! So, for many Indians, because an elephant walking down a city road was not an unusual sight, it has taken decades to sensitize the people to the fact that elephants are the victims today of profound violence and abuse. Indians have an unconditional love and reverence for the elephant, and perhaps this is the nucleus of the baffling behavior of villagers who don’t kill the elephants when their fields are raided or a villager is trampled to death in remote areas, near forests where human habitations are present. Shooting and poisoning of wild elephants do occur by irate villagers, but elephants are not institutionalized or declared a nuisance to be killed. Elephants are inextricably woven into India’s history, psychology and society. However, this is changing rapidly, due to the pressure of population and economics. Tolerance is decreasing, and this is frightening because if the people of India don’t support elephants in the wild, then the species is doomed. For the first time, Elephants Indu and Jayanthi at WRRC sanctuary can wallow in a proper mud bath. In contrast, people from the U.S. or Europe have only known the elephant as a wild animal in a zoos or circus where tigers, lions, and bears are also subjugated for entertainment use. These wildlife hold a “foreign” and exotic place in the psyches of Europeans and Americans. Hence, apart from having a respect and interest in the elephant as one might for other charismatic fauna such as the orca, dolphin, or beluga whale, there is no other association as one might have in India. The psychological difference between an Indian’s mind and that of non-Indians is the level of acceptance of the former in spite of grave provocations by wild elephants. The same can never be seen in a western society that would likely kill the animal if a threat were posed to individuals or communities. There is a number of historical cases in the U.S., including Tyke the elephant who, after killing her trainer and escaping into the streets of Honolulu, was executed. In India, each and every animal or bird from the rat to the elephant has been given a place of honor in the epics, mythology, and popular oral traditions of the Hindu religion. Hence, there is a natural compassion that one finds deeply ingrained in Indians, which today is being subverted by commerce and corruption. Every village in rural India would have a temple dedicated to Ganesha (the Elephant God) or to some God that had an animal, bird, or reptile as a symbol. By these anthropogenic associations, India has preserved an affinity with the natural environment that is so lacking in other Asian countries. I believe it is possible to renew this feeling that has become buried due to ignorance, greed, and loss of connection with the natural environment, part of our heritage from the past. The phajaan, the brutal practice of “breaking” elephants, is practiced around the world. 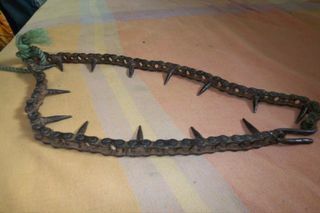 You mentioned that this been a traditional practice in India. Yes, breaking an elephant is supposed to be a skill that very few people have in today’s world. People do not appreciate what has happened to an elephant who now gives rides, begs, participates in in ceremonies, or paints. Phajaan, as it exists in Thailand, was not the method for subjugation in India. Instead, Elephant handlers used the kraal method. Whatever knowledge there may have been is possibly lost. The subjugation of elephant calves and adults is based on the principle of causing the most fearful responses in the shortest possible time. 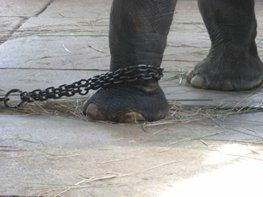 This intensified torture leaves the elephant in a permanent state of fear and trauma. Elephant keeping in today’s world has devolved further, since the core objective is commercial and reflects a facet of illegal trafficking of wildlife. Current day practices with elephants in captivity employ the kraal system, but its methods have devolved to the more brutal and violent methods of the phajaan. These violent practices cause severe psychological and physical trauma, which leads to elephants engaging in abnormal behaviors. In the state of Kerala alone, 526 people were killed over the last couple of years by elephants retaliating or striking out in profound fear and trauma. In the past, the process of breaking elephants captured from the wild took place over a long period and was done in a very measured “carrot and stick” way. In ancient times, there were ministers specially appointed by the royal courts to oversee the management and care of elephants, the pride of the royal courts. Today, in contrast, the same animal is in the hands of brokers, agents, and traders who must maximize profits from elephant in the shortest possible time. Hence, the basics of welfare and care are now nonexistent. More than ever, elephant captivity is violating the most fundamental right of life—to be free and have freedom of choice. But times have changed and the public does not want to see the torture and subjugation of elephants in the name of religion and culture. For this reason, I am very hopeful. The elephant profession was once based on family lineage, passed down from father to son. Has that changed? It has changed completely. Our studies show that none of the mahout families wish their sons to continue in this profession. The royal, traditional respect that mahouts once enjoyed as elephant keepers and as part of empire building is obviously not relevant today. In a world of cellphones, malls, and super-fast urban lifestyles, elephant keeping is open to greater abuse. 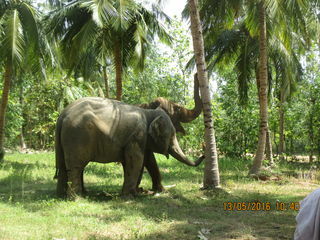 For example, in the past, a mahout would live in isolation with his elephant in forested areas. Who today would opt for this vocation when there are so many other professions to choose from, most without the life threat of looking after a five-ton animal who has a mind of her/his own? This also was less of a problem in the past when there was a kind of mutual respect, albeit still captor/captive, between a mahout and his elephant. With less time in hand, and no respect accorded to the profession in modern times, the elephant becomes a victim of malpractices and abuse. As one elephant company boss once said in regard to hiring mahouts, “We look for the lowest of the low.” In this way, the elephant issue is tied to a human rights issue. Most mahouts today are illiterate, from lower socioeconomic backgrounds, and mostly alcoholics. In today’s Kerala, one mahout and one captive elephant dies per month due to multiple factors, which reveals that their lives are taken very cheaply by the owners. Forest Departments of all the states where free-living elephants live are the foremost agencies qualified in handling wild elephants and subsequent upkeep. They are responsible for capturing elephants in cases of human-elephant conflict, for saving calves whose mothers have been killed, and for rescue from situations like floods, falls, and abandonment by herds. An elephant addicted to farmlands and crops is captured because of local and political demands. Private ownership must be phased out since they do not care for the elephants and are in nearly all cases quite abusive and cruel. The time of elephant capture and captivity is well past. India has changed, and Indian minds have changed. The social psychology of India is changing every year! The country is rapidly becoming urbanized. New professions are being sought in sectors that were never imagined a decade ago. The small number of elephants in the wild can never justify capture—they are few and struggling to survive in a rapidly disappearing habitat—and many traditional institutions like temples, tourism and circuses, are failing. Elephants in captivity will soon become a thing of the past. It is because of the high tolerance of Indian rural people that elephants in the country have managed to survive in the wild. Traditionally, they have lived in peaceful co-existence. This is in stark contrast to the number of wild elephant in the neighboring states of Sri Lanka, Bangladesh, Bhutan, Nepal, and a little further in Cambodia, Thailand, Laos, and the rest of Southeast Asia. What we need now are areas where free-living elephants can roam safely. So many are killed by trains and others accidents. We urgently need to re-connect ancient migratory passages through which wild elephants could travel from one forest to another, buy up land for habitat protection, tackle encroachments by individuals and estate owners, barrier surveys and maintenance and some practical methods to discourage them from human habitations. And, of course, educate people so that they will understand elephants and learn how to live well and peacefully with elephants. 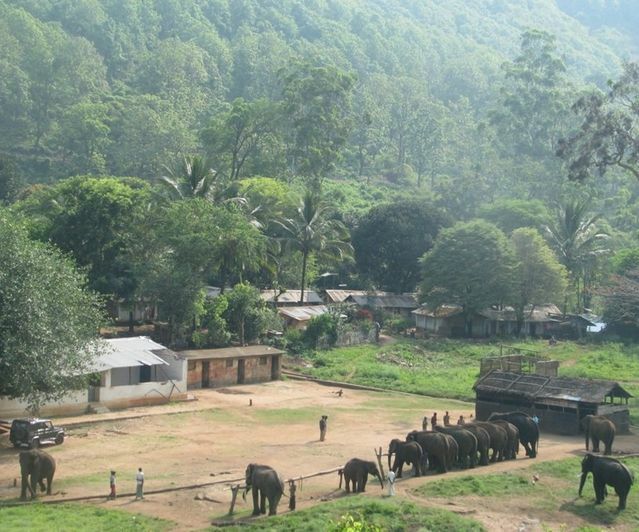 You have now opened the first elephant sanctuary in India. How is it being received? 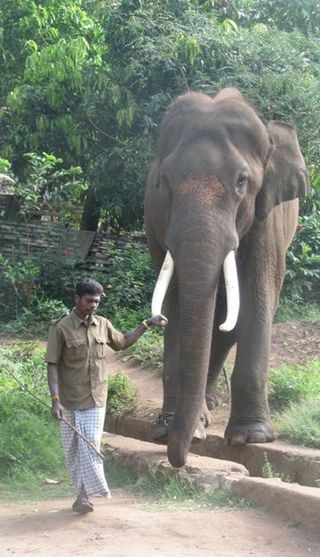 WRRC has initiated the first sanctuary in south India—a care facility for captive elephants rescued from temples, zoos, and other institutions. We have not publicized it much, since by nature we are a little reticent! But the work has now been extended and we have brought in three elephants in great need. Aneesha is the first. We created this sanctuary in collaboration with an organization called “Tree Foundation” whose director has provided us with the most beautiful land, on a permanent basis. The elephants are being handed over to us by a renowned religious institution that claims they are no longer able to look after their elephants. Son and mother reunited after 17 years. We hope that this sanctuary will form the nucleus of future private elephant care facilities partnered with government and other institutions to rehabilitate elephants rescued from gross abuse and malpractices. 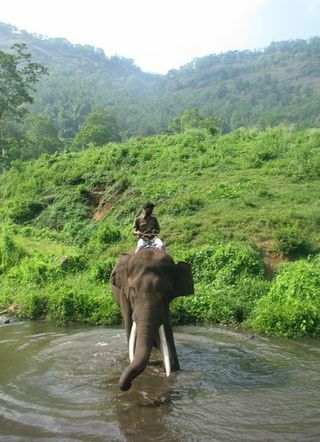 It is my hope that it seeds a new Indian culture of compassion for elephants and other animals. Guruvayoor Kirhshnan Kutty. Mochanan. (from Jaeggi, P. Living Gods in a Living Hell).